Charlap Hyman & Herrero renovated a sizable 1960s building on Sunset Boulevard for the young store Sunday Goods. 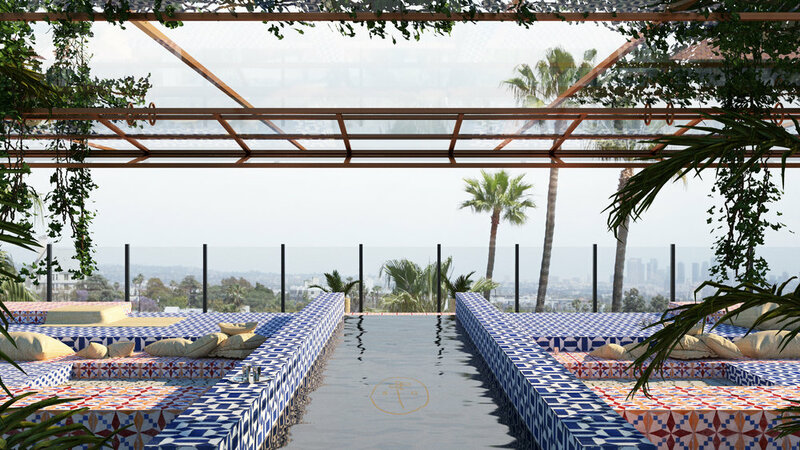 Throughout the program, which consists of a retail space on the ground floor, a lounge and bar on the floors above, and a rooftop pool and bar, the midcentury aesthetic was embraced and reinvigorated. CHH stepped back the original façade in order to form balconies spanning the building's width.